When a mother goes missing in frenetic Seoul Station -- her grown children trusting that public transportation will safely bring their elderly, countryside-dwelling parents to their doorstep, and her fast-walking husband having years ago forgotten to glance backward -- the remaining members of her family are left to cope with the tremendousness of sudden loss. This is the premise of Kyung-Sook Shin's novel, Please Look After Mom. Each chapter is narrated by a different member of the family as they search for her in the streets of Seoul and in the more treacherous terrain of their minds: the unmarried daughter with a flourishing writing career; the eldest son, burdened still by lofty dreams never reached; the bad-boy father who has always taken his wife for granted. A later chapter is narrated, in a voice that is both wistful and pragmatic, by the missing mother herself. The searchers are led by their memories, which in a surrealist undercurrent, coincide with the locations that strangers' tips draw them to -- a woman with blue plastic sandals is seen here, or there, by the eldest's first office building, or by his first house. The mother isn't wearing these sandals when she goes missing, but her family remembers them on her feet at other points in her life, in earlier years. The blue plastic sandals appear again and again, a signal that the most significant searching is in the interior realm. At times, this myopia grates, if only because the narrative progression is in the remembered details: flash memories of doghouses, rosebushes, jar lids, sweaty towels. Each detail leads to a simple anecdote. But, as the unifying figure of the mother in this tale evidences through her coaxing care for the seedlings in her fields, simple is far from simplistic. Shin is a scribe with a slow and steady pulse; this is writing that allows you to meander with your own thoughts (and reflect on your own mother, perhaps), while still following the physical and mental travels of her characters. As the father goes home to an empty house, yelling out his missing wife's name, or as two siblings meet in a playground after a day's search, dusk nearly obscuring their despair, you can imagine the emotions playing out across their features. They are, after all, universal ones: sorrow, disbelief, regret, shame ("how did she come to be missing?" is the terrible question they are asked by those who think they have spotted her), and finally, rage twinned with helplessness. If there is a weakness to the book, it's in the actual reading experience of it. The changing narrators have their own voices and are engaging, but the frequent use of the second person is off-putting. Earlier memories interweave with scenes in the present, and sometimes the segues are unclear. Some of this may be the muffling or flattening effect of a translation that is too literal, and not lyrical enough. Still, in some ways, even these awkward elements are an unexpected strength, emphasizing the choral nature of these searching voices -- their confusion, the overlapping memories, the helpless anger directed every which way. 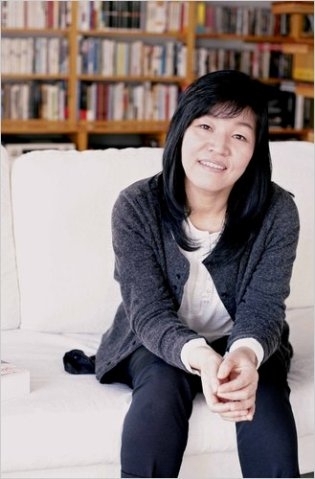 Shin is a popular and widely read novelist in Korea, and perhaps it speaks to her introspective nature that at a recent PEN Festival event in New York, she referred rather plainly to her own loneliness in an attentive crowd of English speakers. She listened to a translator read an excerpt from her book in English, her chin cradled in her upright palm, appearing serene and far from impatient. Similarly, readers should look past the translation, the slowness of the book's progression, the occasional waves of sentiment, and search instead for the telltale signs of a plain and softly insistent eloquence. Jane Y. Kim is a journalist and fiction writer who lives in Brooklyn. She works at Kaya Press.